Zirconia crowns are our preferred type of all-ceramic crowns to improve the appearance of teeth which have become stained, decayed, fractured or disfigured over the years. They are durable, easy to wear and long lasting. 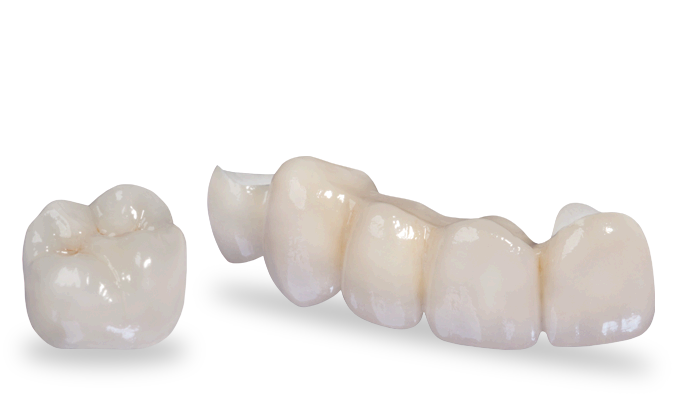 Plus zirconia crowns have a translucent appearance which means that they are very natural-looking and indistinguishable from your own teeth. It is hard to spot a zirconia crown among natural teeth. It is also very compatible with the human body, therefore there is no fear of rejection due to allergic reactions. It is safe to use and preferred by many people compared to porcelain or porcelain-fused-to-metal crowns. 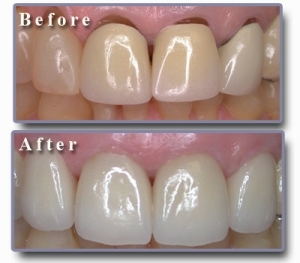 Zirconia crowns are definitely more robust than porcelain crowns. They last longer too, compared to porcelain that chip and break, and they don't have black unsightly lines above the gums unlike porcelain-fused-to-metal crowns. Since Zirconia crowns are milled from a solid chunk of crystal, they are guaranteed to be at least 5 times stronger than porcelain and it metal fuse. They provide beauty and strength without the bulky appearance.